Paris: September 1792. At the West Barricade, the bloody guillotine continues her ghastly work. And word has gotten round that the mischievous Englishman who delights at ferrying off French Aristocrats to England is somewhere among them. For today, the Citoyen Fouquier-Tinville, on his way to the Committee of Public Safety , received another enigmatic calling card. 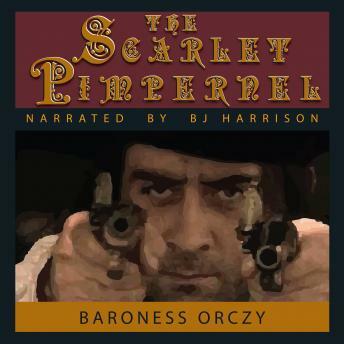 It was signed with a symbol of a red flower - the mark of the Scarlet Pimpernel.